Regular old socks. Yup, nothing special here. This is what the majority of skaters wear during training, day in and day out. I have a couple of problems with the wearing of socks during skating sessions: 1) depending on how sweaty your feet are, they get wet from your transpiration; 2) said sweat means you're basically training in an ice box with wet feet (not comfortable); 3) they can bunch up and wrinkle, causing friction points. Well, this is an obvious one. If the closest you've ever come to skating is watching Ice Princess, then you could be forgiven for thinking that all skaters practice daily in glittering costumes and pristine white boots. We in the real world of figure skating know this is not the case! Although tights are the go-to for competition and testing, they are generally worn less in practice. However, if you opt for layering tights under your practice outfit, or even wear "pop up socks" (ankle high pantyhose-socks) then this applies to you. There are a few caveats to wearing tights in training: 1) when your feet sweat, the foot-part of your tights will get wet, but you won't be able to whip them off like a wet pair of socks - you need to change your entire outfit; 2) tights get dirty real quickly, and are a pain to clean; 3) keep your toenails really trim, or you could end up snagging and laddering your precious (read: expensive) tights. Shock, horror! I don't know that many skaters who go bare-foot in their skates, but I'm one of those weirdos. That's right, nothing! I get so irritated by anything on my foot skin that I prefer to be in direct contact with the boot. If this is you too, you need to take special care of your feet when you come off the ice. 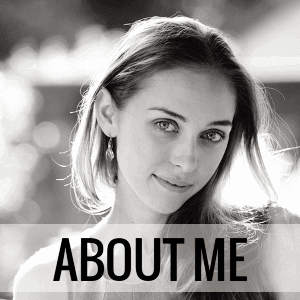 You may notice your veins are a little raised, and you have boot-indent on your foot. Make sure you slip on some lovely socks (we're getting to that in a minute, hang on) to save your skin becoming chapped or erupted from the pressure of boot seams pressing directly into your skin. I also highly recommend investing in a pair of cashmere socks. These don't have to cost the Earth, and they make great gifts, so keep them in mind for your skater's next birthday. I got a two-pair pack of knee-high cashmere socks at Marks and Spencer (a semi-luxury retailer in the UK) for about £15 a few years back, they machine-wash, and are still going strong (albeit they now have bobbles). These offer the softest fibre you can put next to your skin. They are incredibly warm (great for those times when you can no longer feel your toes), but are thin enough to slip into your regular boots or shoes (unlike hiking socks that a lot of skaters opt for, but which are so bulky you're not gonna get your foot into your shoe, unless your shoe happens to be a Wellington boot). Similarly, sheepskin slippers, shoes, or insoles are also fabulous. These offer a 100% wool fibre against your foot, which gives incredible warmth, a lovely soft springiness, and they are waterproof, since wool is. Yes I know, you're not going to go pouring water over your shoes or insoles, but being waterproof means you can cart them to the rink in your bag without fear they'll get irreversibly soaked with slush ice from drying off your blades, or *heaven forbid* black rink-sludge! As I have mentioned before, don't moisturise your feet excessively. This will keep your skin hydrated and soft, which makes it prone to friction burn, opening up, and other general forms of boot-related painfulness. Obviously it's not a good idea to let your skin get so dry that it cracks, or causes you any other medical issue. Exercise common sense. Tough skin will form where your boots rub the most after a while, and you should experience less boot-induced problems over time on those areas. Don't forget to look after your feet. More than 100 muscles, ligaments, and tendons exist in the feet alone, which also house over one third of the human body's bones! See a podiatrist and/or chiropodist regularly to keep on top of your foot health, and forsee any problems (e.g. biomechanical, ingrown toenails, etc.) before they cause you injury, or having to take time off from the ice. At the end of your day, when you get home from your long day of training, rubbing some Tiger Balm (a brand-name eucalyptus-infused balm, but lots of other variations on a theme exist) into your tired feet can feel just delightful. 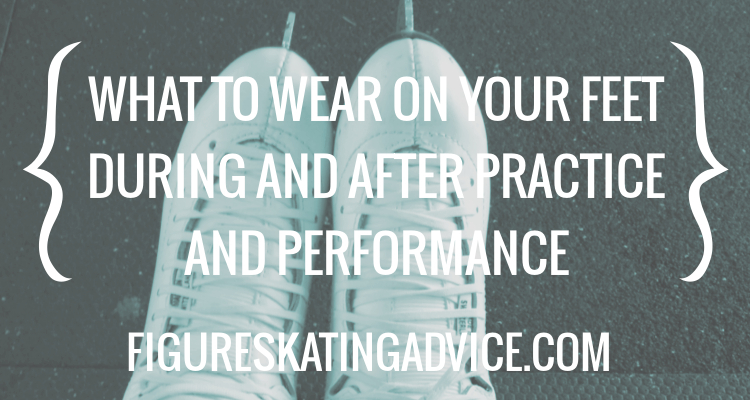 Let us know below or on social media if you have a sure-fire way to rest your feet that you'd like to share with the Figure Skating Advice community! Until next time, look after those tootsies! Gigi, you're amazing! This is exactly what I needed to read up on! I've just finished rubbing Arnica on my daughter's feet after a lesson, wondering what else I can do for her feet. Can't wait to try the eucalyptus!